Isn't it just the best feeling to curl up with a mug of something hot after a long walk with your dog? 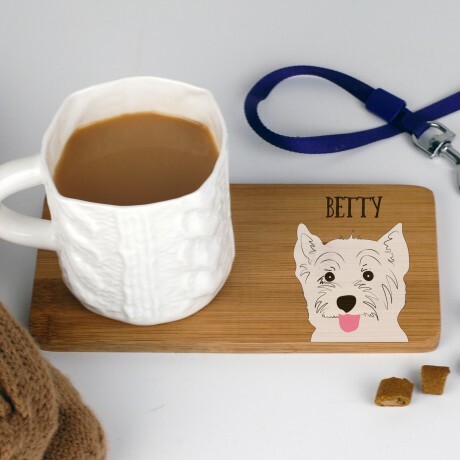 This gorgeous bamboo coaster is the perfect accessory featuring your adorable dog - personalised with your choice of breed (a list is shown below). If the colouring for your dog is not shown, please let us now in the "Special Requests" box and we will be able to help. 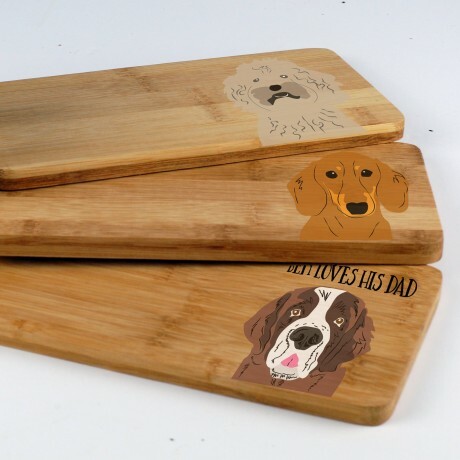 The product photos show the choices available along with the colourings you can have.